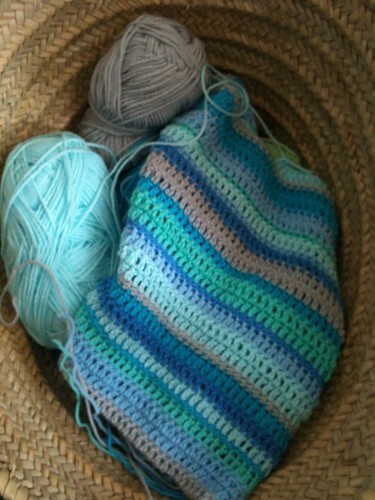 After finishing the Spring Cloud blanket I had lots of little leftovers, so I started crocheting a simple striped cushion cover. 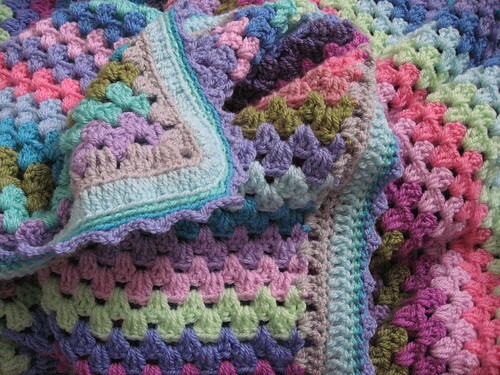 I have to admit that I was seriously tempted to start another blanket right away, but I resisted (for the moment). We had about 2 weeks of "winter" here in Amsterdam, with snow and canals that actually froze over, but now it's definitely spring. 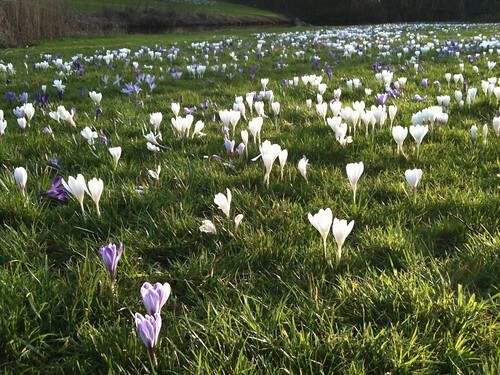 I saw these lovely crocuses covering a hillside on Sunday. I started the Spring Cloud Blanket just under a year ago, while expecting the Wee Lass. 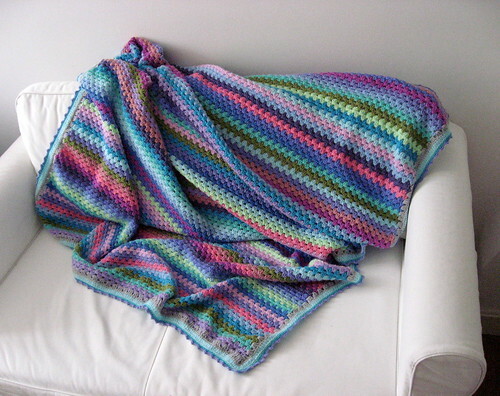 I recently finished it and I'm so pleased with the pretty and cozy result. The Wee Lass likes poking her fingers in the holes. 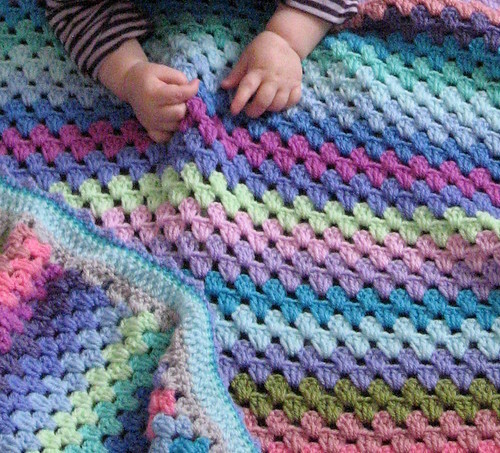 It was a great pattern for a new Mum to work on as it was simple to pick up just for a moment or two. For the edging, I did a row of double crochet clusters all the way around, plus a row of single crochet in grey. Then I did a row of double crochet in pale blue, followed by a single crochet row in aqua and one in turquoise, then I finished it with a purple picot trim.